Seniors who quickly shed pounds are at higher risk of developing Alzheimer’s, a new study reports. Dementia may be particularly likely in those who were overweight to begin with and then lose weight. The findings appeared in Neurology, the medical journal of the American Academy of Neurology. Earlier studies have shown that weight loss may precede the onset of Alzheimer’s by 10 to 20 years, suggesting that the disease may have a long latency period during which subtle changes like weight loss or minor memory problems may occur. Paradoxically, those who are obese or who have other risk factors for heart disease during midlife may be at increased risk for Alzheimer’s during their late years. The current study looked at 1,836 Japanese-American seniors living in Washington state. None had memory problems at the start of the study, in the early 1990s. 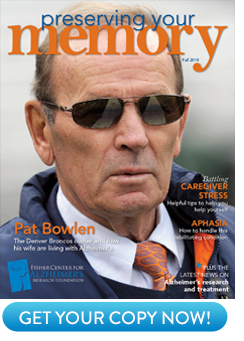 Ten years later, 129 had developed Alzheimer’s or another form of dementia. The researchers found that people who had a lower body mass index, or BMI, a measure of weight and height, at the beginning of the study were 79 percent more likely to develop dementia than those with higher BMI scores. People with a BMI under 25 are considered normal weight. Those with a BMI of 25 to 30 are considered overweight, while those with a BMI exceeding 30 are considered obese. In addition, those who lost weight over the study period at a faster rate were nearly three times more likely to develop dementia than those who lost weight more slowly over time. This result was more pronounced in those who were overweight or obese to start; those with a BMI of 23 or higher had an 82-percent reduced risk of developing the disease compared to those who were normal or underweight. The results were the same after testing for other health risk factors like smoking or how much exercise someone got. One explanation why people prone to Alzheimer’s may lose weight is that they may develop apathy, or a loss of initiative, in the earliest stages of the disease, making them less likely to cook or prepare meals. People at risk for Alzheimer’s may also lose their sense of smell, which may make them less interested in food. But just because an older person loses weight doesn’t mean they will get Alzheimer’s. Many changes of old age, such as reduced appetite, poor mobility, general frailty or medication side effects can cause otherwise healthy seniors to lose weight. Men and women with Alzheimer’s disease also tend to be thinner than those without the illness. Poor appetite, disorientation, problems with vision and perception, and an inability to feed oneself can all contribute to poor nutrition in those with the disease. During the late stages of Alzheimer’s, people commonly lose up to two pounds a year. Those who lose the most weight are more likely to do worse and to be placed in a nursing home. In addition to careful monitoring, some simple caregiving measures may help. For example, researchers report that using brightly colored tableware may make it easier for those with advanced Alzheimer’s disease to see the food and beverages in front of them, leading them to eat and drink more at mealtimes. For more on the care and management of Alzheimer’s disease, visit www.ALZinfo.org, The Alzheimer’s Information Site. T. F. Hughes, A. R. Borenstein, E. Schofield, et al: “Association Between Late-Life Body Mass Index and Dementia.” Neurology, Volume 72, May 19, 2009, pages 1741-1746.